Set during the original ALIEN COSTUME SAGA - before Peter learned of the symbiote suit's true nature - comes the second installment of this all-new tale from comic legends Peter David and Greg Land! 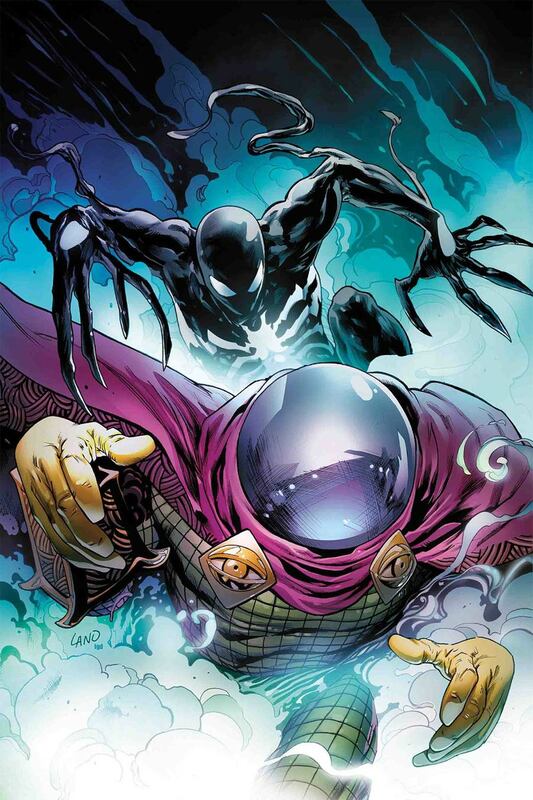 Mysterio, after swallowing another loss against Spider-Man, has sworn vengeance upon the web-slinger! Recruiting another villain to to enlisting the aid of an impressionable hollywood stuntman to take on Spider-Man, Mysterio is dead set on ending Web-Head once and for all!